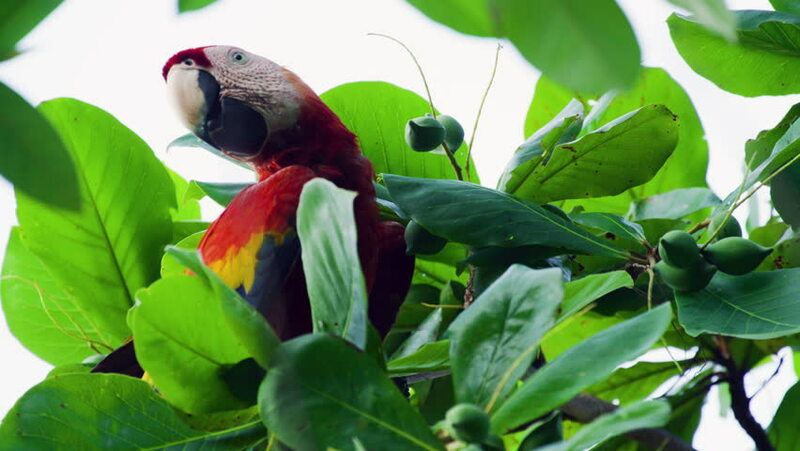 A colorful and vibrant scarlet macaw bird (ara macao) eats fruit from a tropical almond tree (Terminalia catappa) in the jungle rainforest tree tops in Costa Rica. Shot in 4K. 4k00:20A butterfly sitting on a leaf moving it's wings slowly.